Capable of extending the lifting platforms to pick up or deposit long, bulky and/or heavy loads, sideloaders are utilized in industries such as automobile, glass, industrial manufacturing, steel, textile, timber, paper and construction. They are typically manufactured from high strength materials and are ideal for heavy duty applications. Sideloaders are vehicles that are equipped with a power-operated forked platform attached perpendicular to the drive direction of the forklift that must be inserted under loads to lift and move them. Designed for material handling applications, sideloaders are capable of handling a wide range of materials including bar stock, timber, glass and plywood sheets, building materials and tubing laminates. Sideloaders offer ease of movement in small spaces such as narrow aisles, thus enhancing productivity and safety, as well as high stacking capabilities. Load capacity and reach height are variations to be considered in different types of industrial trucks. The lifting mechanism of the sideloader can be powered by hydraulic systems, pneumatic systems or mechanically-operated systems depending on the requirements of the operation. 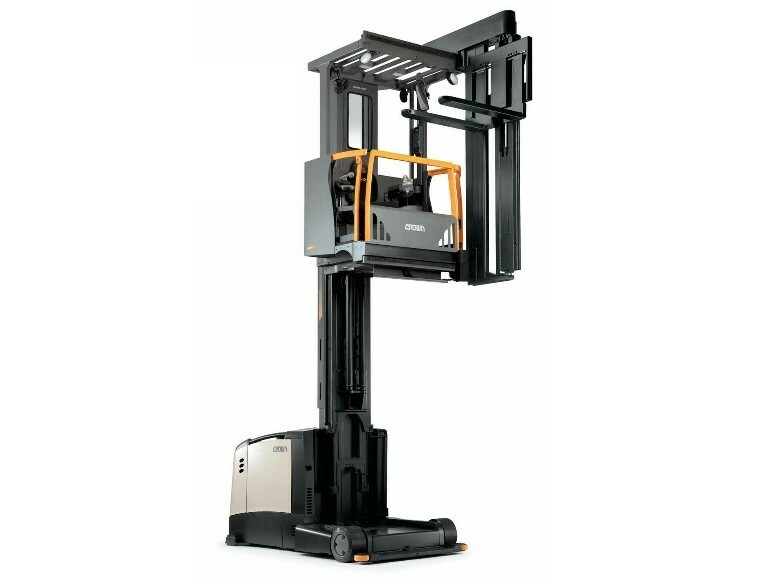 As with most types of forklift trucks, sideloaders can be designed with either man-up configurations, with the operator close to the load and standing on the machine, or man-down configurations, with the operator close to the base of the vehicle in an enclosed cab. Sideloaders are typically capable of extending the forks in a scissor-like motion in order to unload into the desired space. They can lift to a maximum height of 30 feet and are capable of carrying loads up to 10,000 pounds. Generally diesel, gas or electrically powered, sideloaders can be equipped with either internal combustion engines or electric motors. This variation will often be based on the intended load capacity of the sideloader with heavy duty trucks typically being engine-powered. A few other common sideloader features include tilting and rotating frames and wheels to increase the vehicles’ overall maneuverability and efficiency. Some wheels also may be fitted with stabilizing outriggers, such as with all-terrain sideloaders. The sideloaders themselves may have safety rails installed around the lifting fork to minimize the risk of a load sliding or falling off. Safety features, such as flashing lights or audible sirens, are common features which help keep co-workers aware of the vehicles’ movement and presence in order to avoid injury and product loss. Sideloaders A sideloader is a type of industrial truck with a lifting platform that extends from the side instead of the front or back as in other types of forklift trucks.